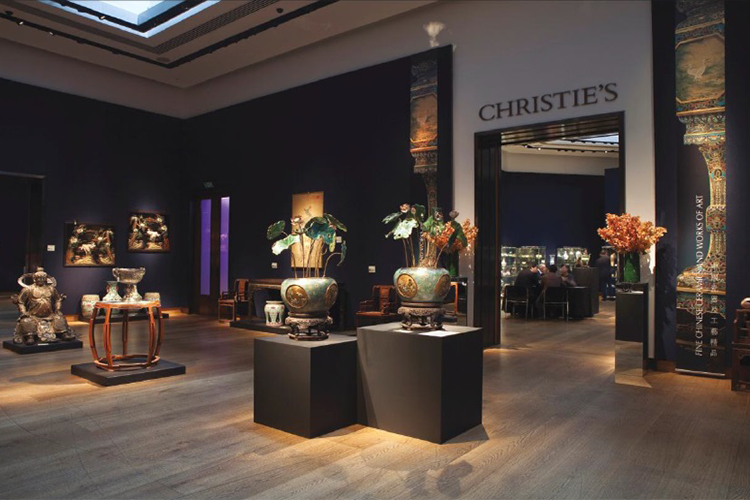 Slipping in rather late to Christie's South Kensington Sale of Chinese Art it took a while to get settled. 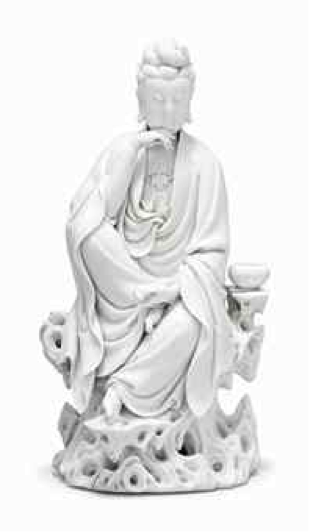 They were selling lot 155, a 20th century Blanc de Chine, or Dehua figure of Guanyin, rather large, but not a fine example, at least judging by the catalogue. The bidding started slowly, with an estimate of 4000/6000 it crept upwards. Whilst I was arranging my coat, finding my catalogue and checking my messages, the bidding escalated. I heard 30,000 all of a sudden and thought to myself that I ought to pay attention. The bidding didn't cease and minutes later, who knows how many, the hammer fell at 680,000 pounds, bringing the total up to a hair raising 818, 500 pounds including commission. Quite a treasure clearly. The staff at Christie's did not seem fazed, they must have been forewarned. The owner however, the Philipino collector Geronimo Berenguer de los Reyes Jr., must have been pleasantly surprised. A few lots later yet another Guanyin bolted, this time more sensibly, it rose from a 1,500 pound estimate and settled on 60,000 pounds including commission. 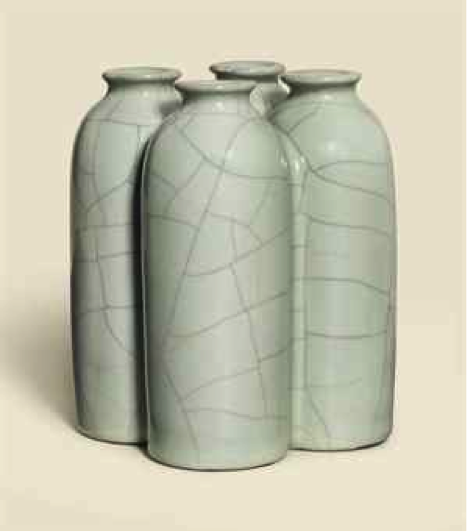 The rest of the sale did well, with strong bidding on the ceramics of the 19th and above all 20th century. Ceramics, which auction houses and collectors alike shunned not long ago, are now the highlights of the auction day. 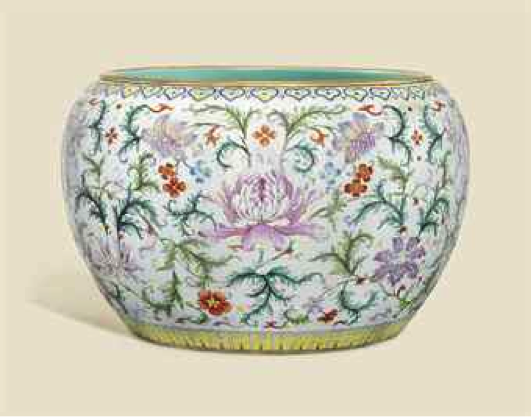 Christie's also held a sale at King Street, a private collection dubbed ''Appreciating Elegance: Art From the Sui Yuan Zhai Collection.'' A small and compact selection of mainly mark and period wares celebrating the potter of the Qing dynasty, with a few Ming jades thrown in, a total of 39 lots. One of the more pleasing pieces was lot 9, a 15cm high quatrefoil ge-type vase with a Qianlong mark, a shape reflecting a dizzying skill in the days where the thermometer was not present and nor electricity. It sold for 182,000 pounds, just above of the upper estimate. Another impressive lot was the Qianlong jardinière or gang, lot 35, the fine enamels reminiscent of Peking enamels, a nod towards Emperor Qianlong's obsession with copying one thing or another. Without an Imperial mark, the estimate of 200,000-300,000 may have been surprising, but it sailed past the lower estimate easily settling on 242,000 pounds. Altogether a result they can be proud of – however the market shows that we cannot take it for granted. As soon as we think we know what sells well, the tables turn and we move on to a new field. We simply have to pay attention and listen. A report on other sales and the forthcoming Lyon & Turnbull sale of a Greek private collection - 'The Considered Eye' – June 15/16 at Crosshall Manor in Cambridgeshire will follow.